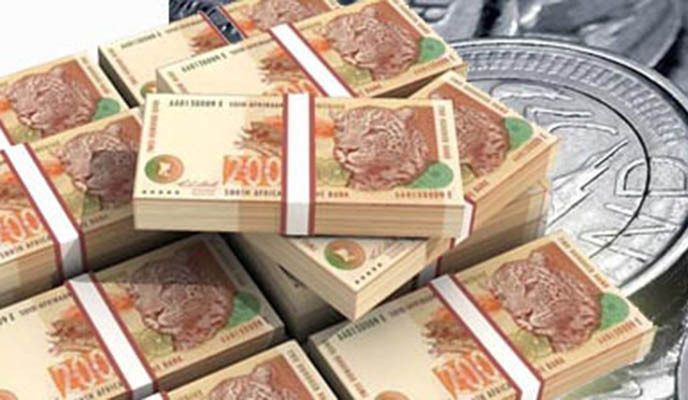 ZIMBABWE – The depreciation of the South African rand presents a challenge to Zimbabwe in terms of trade with its southern neighbour amid fears of low exports, a United Nations (UN) official has said. The rand has been depreciating from R13 to the dollar last year to R16,4 as of yesterday putting pressure on Zimbabwe’s exports. South Africa is Zimbabwe’s largest trading partner. In the first half of the 2015, 68% of Zimbabwe’s exports were to South Africa. Imports from South Africa constituted 40% during that period. UN director of macro-economic policy Adam Elhiraika told the sidelines of the launch of the UN World Economic Situation and Prospects for 2016 report yesterday that Zimbabwe has to strike an agreement or arrangement to make sure that fluctuations in the rand will not translate to low exports. “When it comes to imports and trade with South Africa the fluctuations we have seen in the value of the rand and the huge depreciation over the last few years really presents a challenge to Zimbabwe in terms of trade with South Africa,” Ehiraika said. He said the challenges in the economy Zimbabwe faced for the last 10 to 15 years are mainly due to macro-economic instability such as huge currency depreciation, hyperinflation that affected the country for a long time and therefore the investment process in the country. Elhiraika said macro-economic stability will be critical to get people to increase deposits into their bank accounts in order to mobilise domestic savings. “Managing the economy in a way that promotes macro-economic and financial stability will be absolutely critical for the country to mobilise domestic savings especially private savings. Macro –economic stability will be critical and people will only deposit money in banks if they are sure that value of their money will not depreciate quickly,” Elhiraika said. This comes as the economic prospectus for Southern Africa is expected to remain the weakest sub-regional growth on the continent growing from 2, 5% in 2015 to 3% this year. The major reason attributed to this slow growth is due to South Africa suffering from weak demand and low prices for key raw material exports as well as electricity shortages. Only Mozambique and Zambia are expected to register faster growth due to infrastructure projects and foreign direct investment. In the UN World Economic Situation and Prospects for 2016 report, Africa’s gross domestic product is expected to accelerate from 3, 7% in 2015 to 4, 4% this year and 2017. The acceleration will depend on improving the regional business environment, macro-economic management, increasing public investment especially in infrastructure, better buoyant services sector, and increasing trade and investment ties with emerging economies.